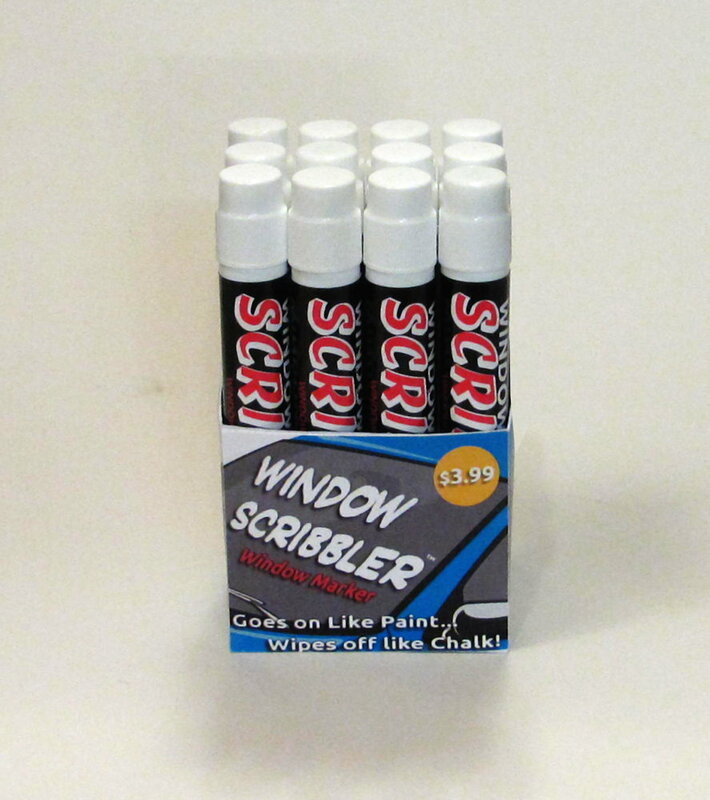 Specially formulated for general purpose use on your car or home windows, Window Scribbler is the Window marker for every occasion! 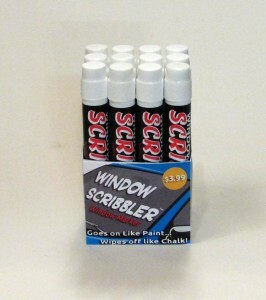 Whether it is a Party, Wedding, or the day of the big game, Window Scribbler is what you need! Window scribbler goes on like shoe polish but wipes off like chalk. It will work on all glass and plastic without staining, including motorcycle windshields. Twelve slot display boxes now available! Find out about opportunities to become a distributor.